The fight for honours on the Acropolis Rally, round six of the FIA World Rally Championship powered by Nokia, remains finely balanced with Sebastien Loeb holding a narrow margin of 10.2s following a day of high drama in Greece. 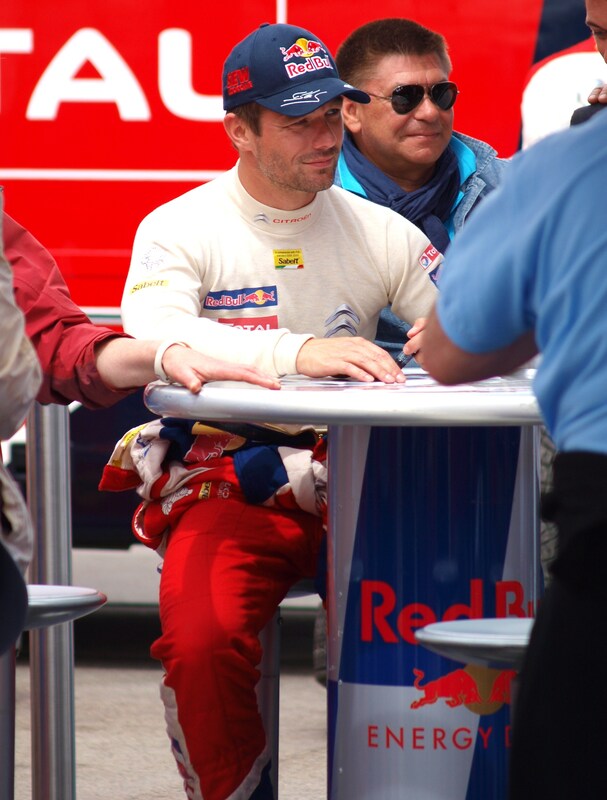 Overnight leader Loeb, in a Citroen DS3 WRC, had come under intense pressure from factory Ford pilot Jari-Matti Latvala, who narrowed the French driver’s lead to one second only to suffer a slow puncture while 2.2s behind on stage 14. With Latvala and co-driver Miikka Anttila stopping to change the damaged wheel, Loeb and navigator Daniel Elena were left seemingly in the clear. However, a determined effort from Latvala’s Ford team-mate Petter Solberg in increasingly slippery conditions caused by sporadic rain showers, means a fourth win of the season for Loeb is far from guaranteed heading into Sunday’s five stages. Behind Solberg, who could have been closer to Loeb had he not overshot a junction in the rain on stage 16, Mikko Hirvonen holds a distant third place in the second factory Citroen with Latvala down in fourth having lost further ground by completing three stages with only three brakes as a result of the damage caused by his puncture. Mads Ostberg has fought back up to fifth in his Adapta Fiesta with Martin Prokop sixth. Both drivers benefited when a water pump failure led to Evgeny Novikov’s exit on Saturday morning. Thierry Neuville is seventh with Sebastien Ogier eighth despite tackling stage 15 without the aid of powersteering on his Volkswagen Motorsport Skoda Fabia Super 2000. 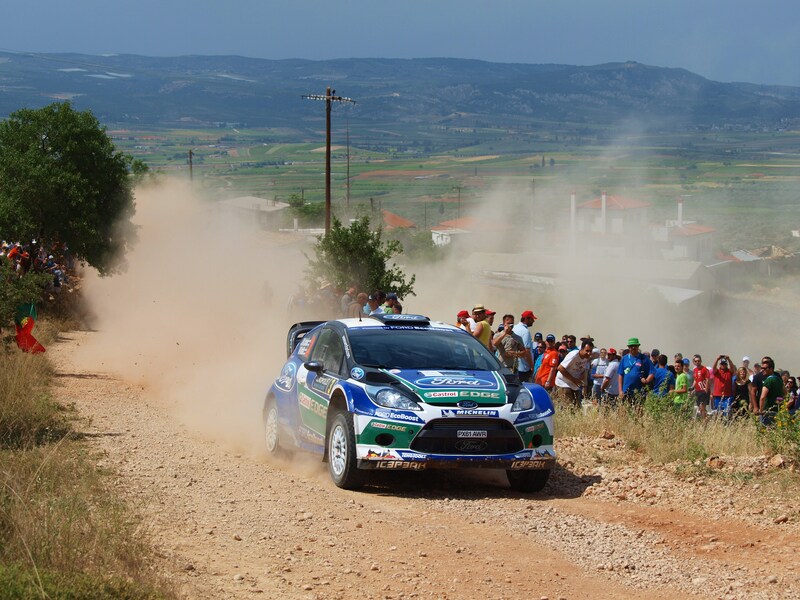 Yazeed Al-Rajhi is a strong ninth in his Fiesta RRC. Andreas Mikkelsen, in a second Volkswagen Skoda, is currently classified in 10th but will be reliant on Rally 2 rules to continue on Sunday after a water leak on stage 16. Nasser Al-Attiyah retired from seventh when a front driveshaft broke on his Qatar World Rally Team Citroen on stage 14. Armindo Araujo failed to make it through stage 15 after a bent compression strut he was nursing from the previous test gave way on his WRC Team MINI Portugal. Team-mate Paulo Nobre retired on the opening run with broken suspension. 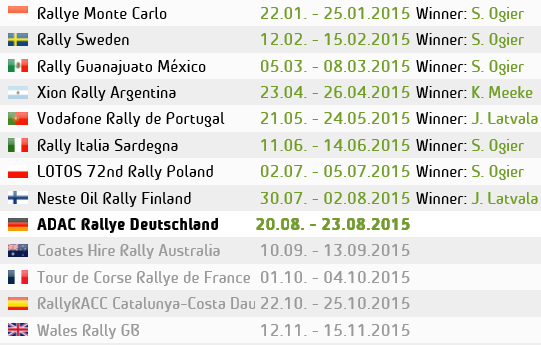 Daniel Oliveira and Ott Tanak restarted under Rally 2 regulations having hit trouble on Friday. Sunday’s action covers 65.55 kilometres over five special stages the first of which, Aghii Theodori 1, gets underway at 09:14hrs local time.